I finally received one of the last May Colors of the Month I was waiting on, so I can finally do my, hopefully, monthly Colors of the Month post! Luckily, almost all of these products and shades are still available for purchase, so if you see something you like, you can still buy it! Product Size - The blushes are minis, the Aromaleigh shadows are minis, and the Glamour Doll Eyes and Shiro shadows are full size. Only the Aromaleigh products are available in other sizes, including samples and full size. 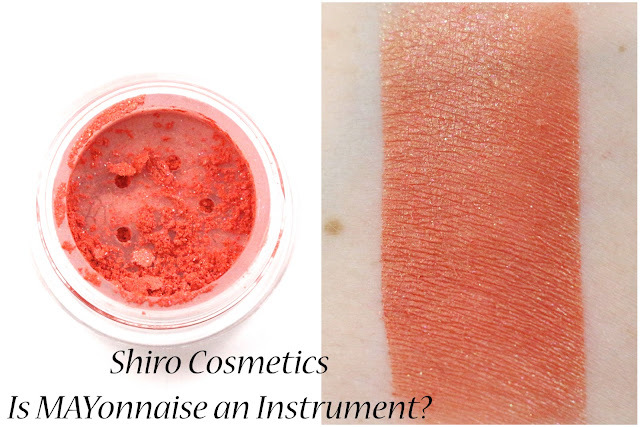 Aromaleigh Shakti - "A bright but wearable coral-pink with a strong green shift." 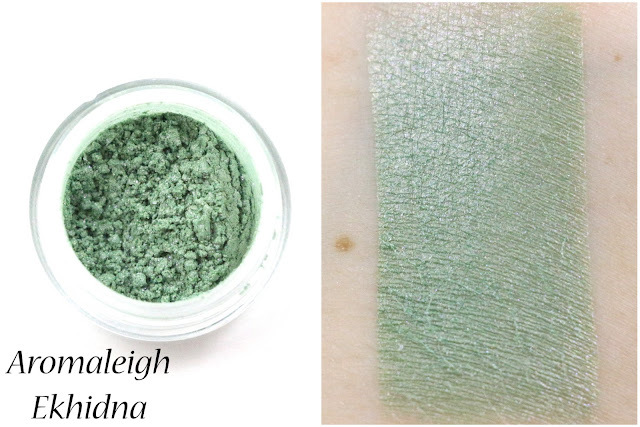 Aromaleigh just recently introduced a new kind of color of the month product, which is their Goddess of the Month! May's was Shakti, and because it's a blush, I had to get it. The shift wasn't as noticeable as I thought it would be, but I bet in the sunlight this will have a really nice glow. Aromaleigh has done colors of the month for what seems like forever, but they just recently started the monthly Menagerie mini collection, which features more experimental products inspired by a mythological creature. I am loving these little mini collections, and I will probably have to have them all every month. Ekhidna - "Minted green with golden undertones and a smattering of color-traveling violet to blue shimmer." This is a pretty shade if a little bit sheer. But I like the blue sheen it has. Hydra - "A rich deep blue-violet base with an incredible color traveling duochrome that ranges from gold to green to teal as you move it under a light source." This is a very interesting shade, it's not quite black, but close, and it has a beautiful duochrome. Karkinos - "A deep metallic red, with brilliant green and violet sparks." You know my love for red shadows, so it should be no surprise that I had to get the full size jar of this shade! And it's so much prettier in person, a very nice metallic red. Pharmakon - "A vivid purple blush with an iridescent green shift." 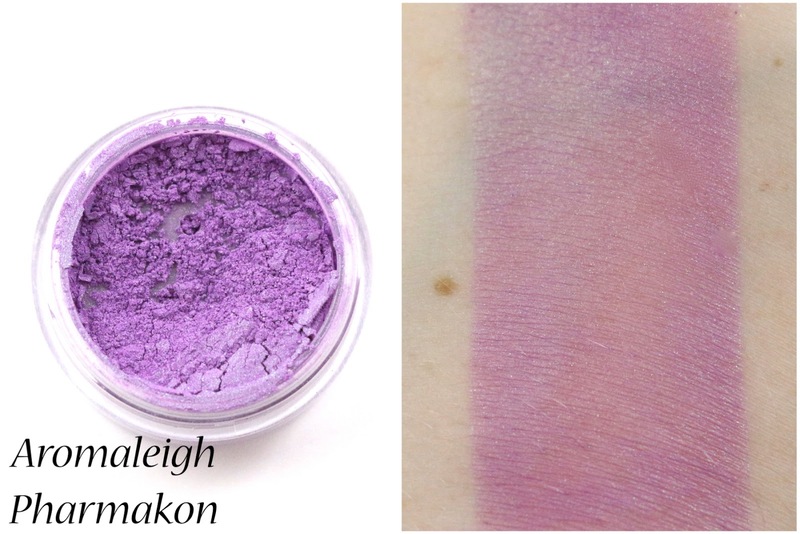 I enjoy a good purple blush, and this one has a subtle green shift which I love. 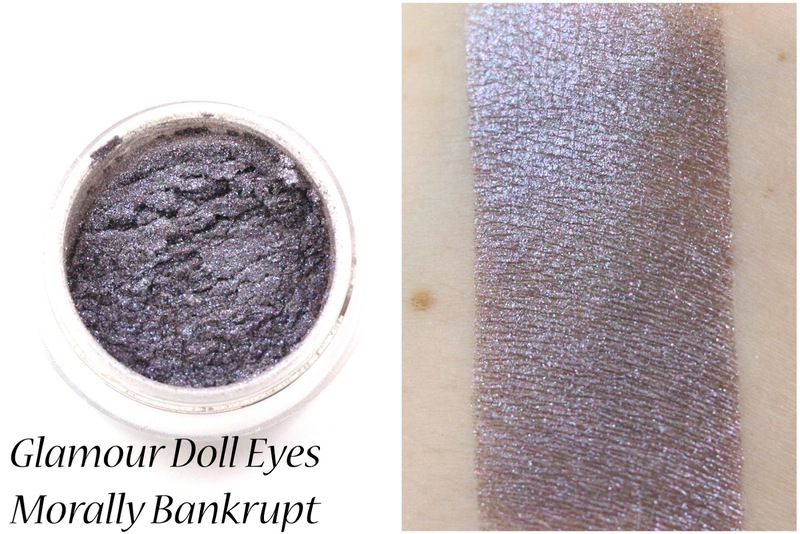 Glamour Doll Eyes Morally Bankrupt - "A deep taupe (though looks purple in the jar) with insane amounts of blue, pink and purple sparkle. 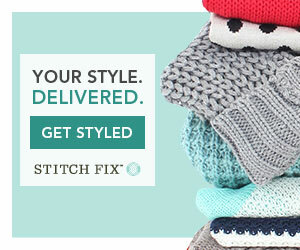 This color is incredibly sparkly!" 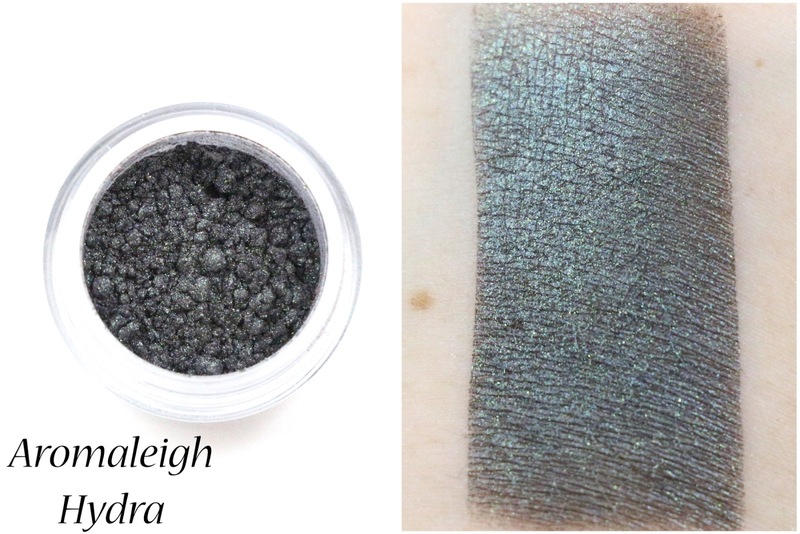 Glamour Doll Eyes does a monthly gift with purchase shadow, which comes free with any qualifying order made that month over $10. This one is super sparkly, with a blue shift. 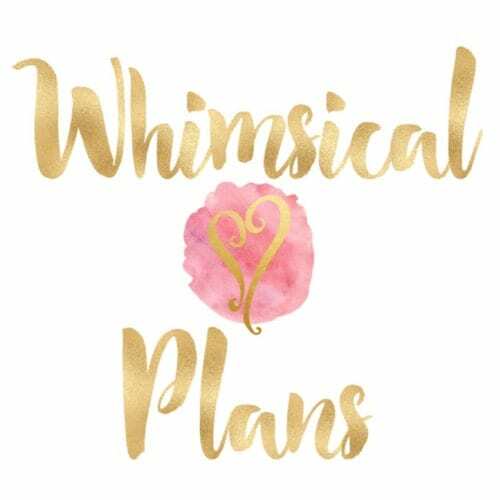 It's very pretty, I would love this over Pixie Epoxy, or foiled. This was a special shadow offered for the owner, Vanessa's birthday. I don't have the official description for this, but it's a pale blue with a subtle sheen and sparkle. 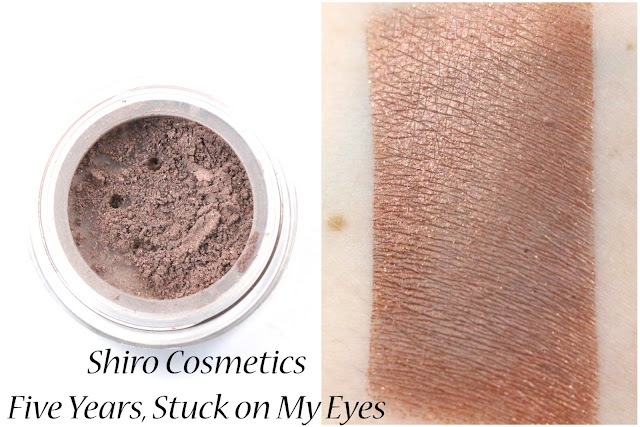 Shiro Cosmetics Five Years, Stuck on My Eyes - "Smoldering dusty orange-taupey-gray, like late sun on stormclouds, or embers in ash." Shiro just recently celebrated their five year anniversary! Congrats to them! So they created this special anniversary shade to mark the occasion. 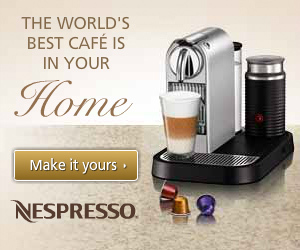 It's got an almost matte base, with a metallic bronze sheen. It's very unique, and I think it would look nice as an all over lid color. Shiro Cosmetics Is MAYonnaise an Instrument? 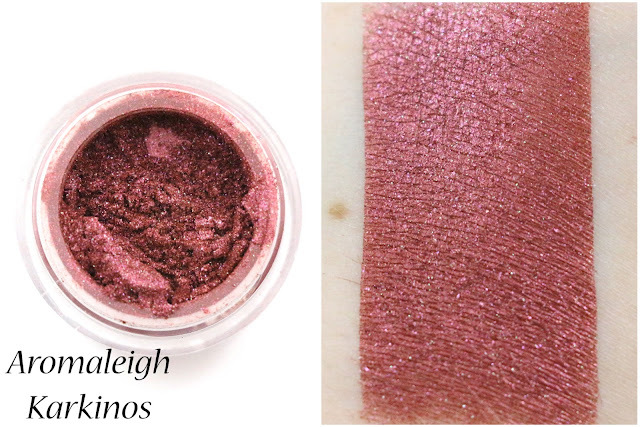 - "Bright, lightly sheer shimmery coral with a green shift and purple and green sparks." This is the regular color of the month for May that Shiro usually does. It's a bit more orange than I had hoped, so I'm not sure if I like this shade that much. 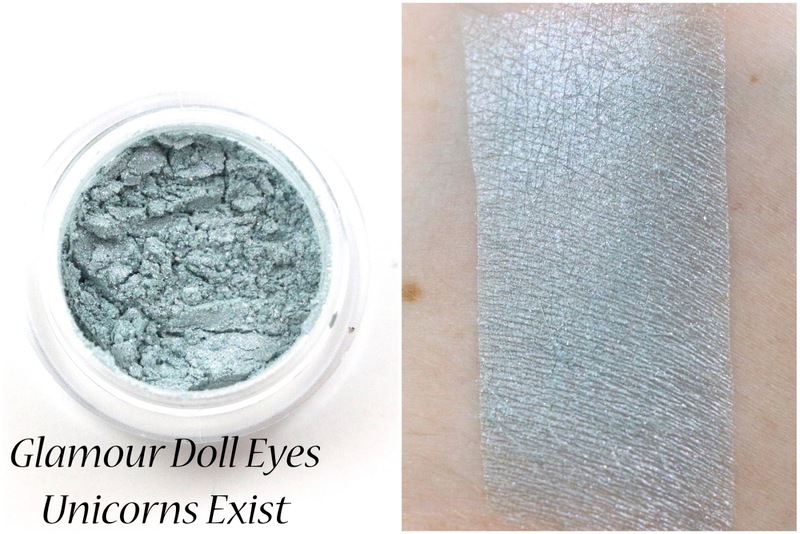 Availability - Everything except the Glamour Doll Eyes Unicorns Exist shadow are still available for purchase. The Shiro eyeshadows might be discontinued, and will no longer be for sale on July 1st. 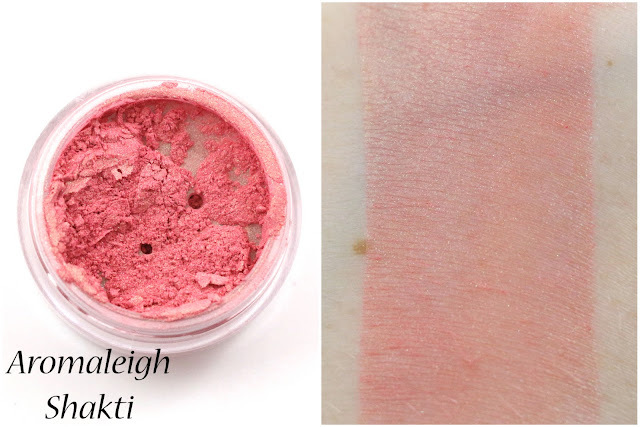 Recommendation - I think the Aromaleigh blushes are great to get for blush lovers, and Karkinos is my favorite eyeshadow shade from the mini collection. And I like Glamour Doll Eyes Morally Bankrupt, but I don't think any of the others are absolutely necessary in an indie collection. 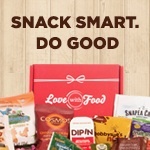 What did you think of this month's Color of the Month products? Let me know in the comments! I have to agree - karkinos is beautiful! I'm a bit disappointed I only picked a mini 😆. Morally Bankrupt was a bit sheer, as it's mostly glitter, but I kind of liked the look it gives. I think it even would be nice over another shadow. If you have Glitter Fix or Pixie Epoxy it might work nicely over those. I sometimes like to use Foil Me with the shadow all over my lid, and not just as a liner though! That will definitely prevent fallout!